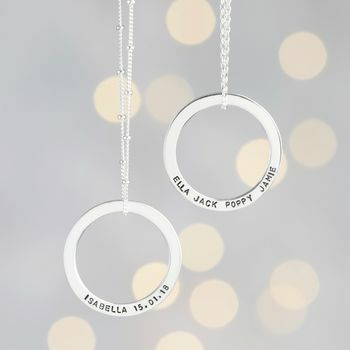 Hold the people and memories you treasure most close, with this personalised sterling silver eternity hoop necklace from the Lisa Angel Handmade Collection. 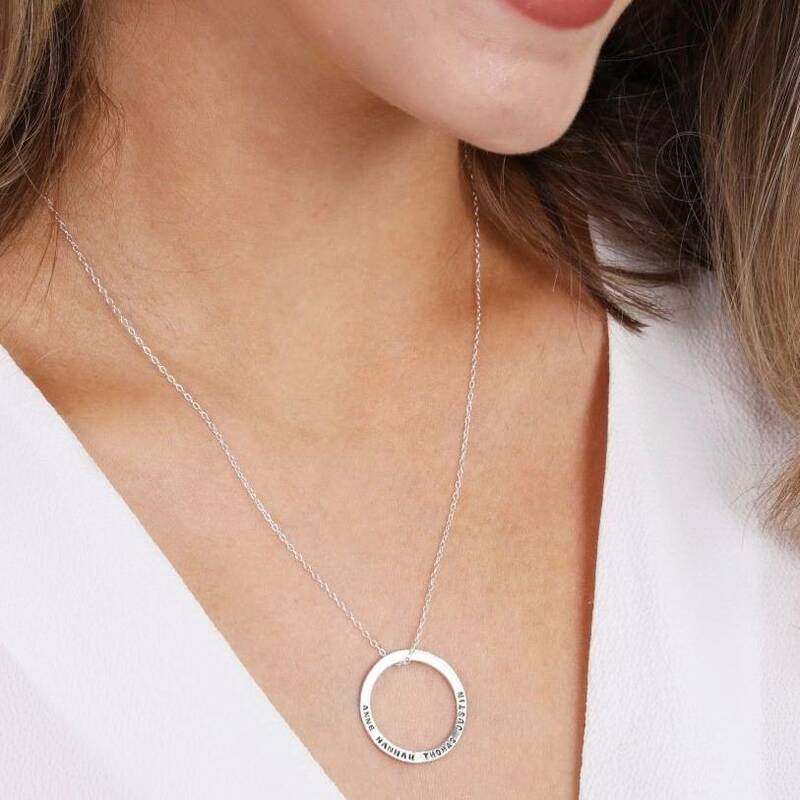 This elegantly simple handmade necklace is a versatile piece that you can carry with you every day. 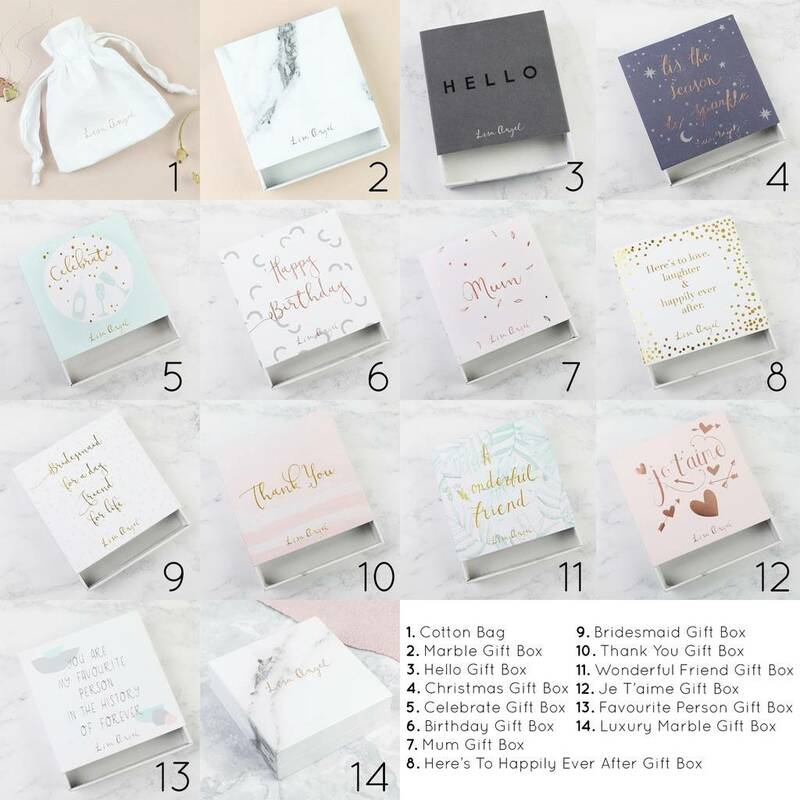 Personalised by the Lisa Angel team with the hand-stamped wording of your choice, we love the idea of stamping family names, special dates or messages that truly speaks to the heart. 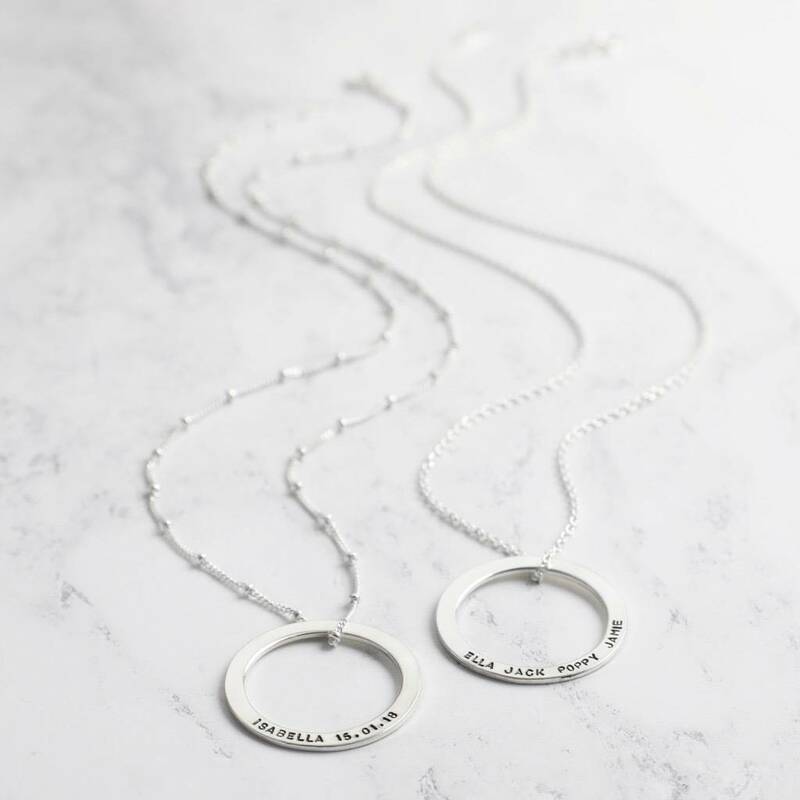 Handmade and hand-stamped in the UK by our expert jewellery making team at the Lisa Angel Studio. 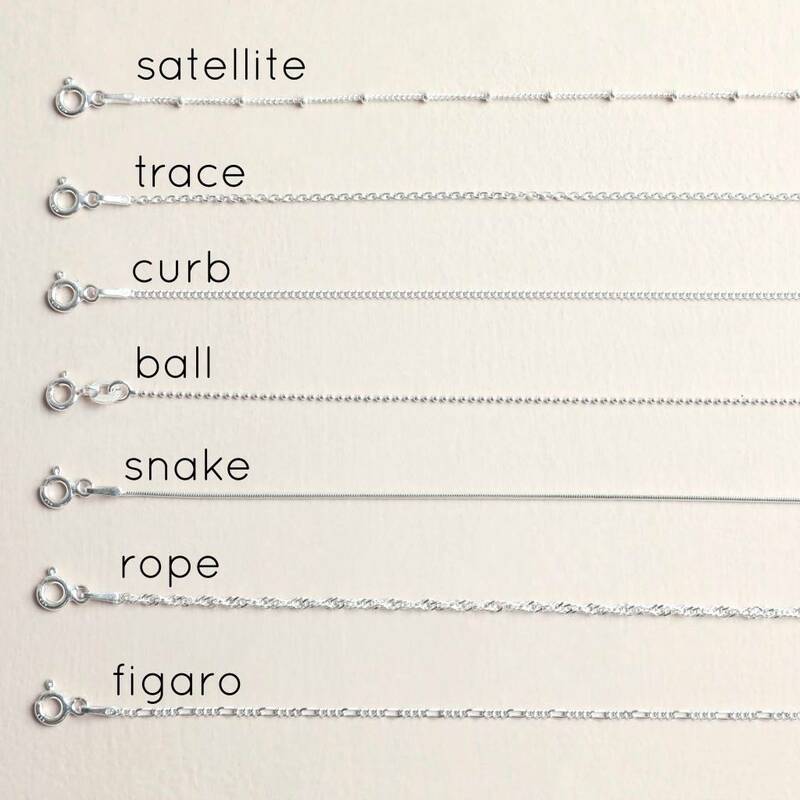 There is a maximum of 45 characters on this necklace. 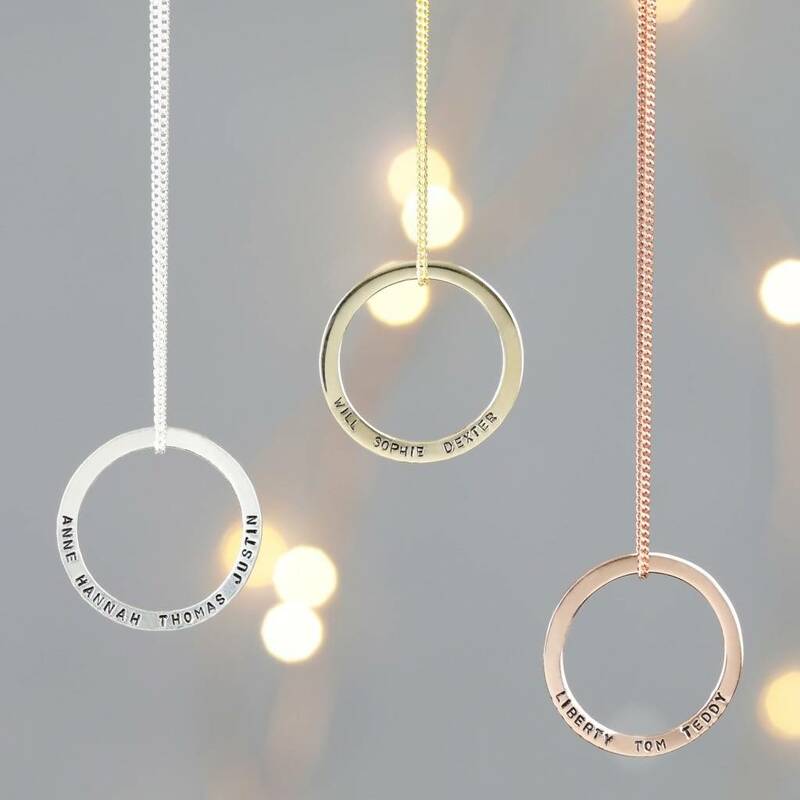 Upgrade this necklace to solid gold or solid rose gold for an additional £65.